I can’t stop saying it — Hue is awesome. Sure it’s freaking hot and the electricity goes out in some areas in the morning, but there are airconditioned mini malls with wi-fi. Like Ho Chi Minh City, there are also plenty of parks around that overlook the Perfume river. 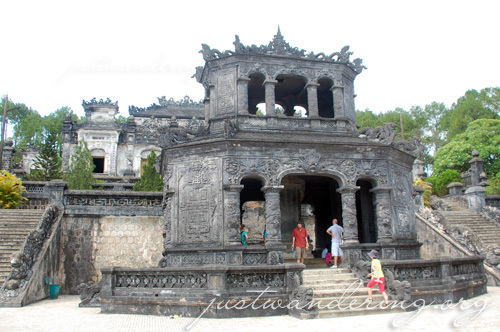 A visit to Hue is not complete without going to the Imperial City. Enclosed in a citadel across the Huong River, the walls are imposing and thick. When you pass through the arch that serves as a gate, it’s like you stepped back to a different time. The Citadel, Imperial city and the pagodas, temples and tombs that you can see along the Perfume river shows the strong influence of the Chinese in in the Vietnamese culture. The Citadel and the Imperial city can be reached by foot from the city center, but be prepared with comfortable shoes and clothes. Going inside the Imperial City elicits the same awe upon seeing the Angkor Wat for the first time (for me anyway). What circus you may chance upon outside disappears once you go through the gates. Buildings painstakingly restored to their former glory greets your eyes, and you find yourself automatically reaching for the camera and clicking away. 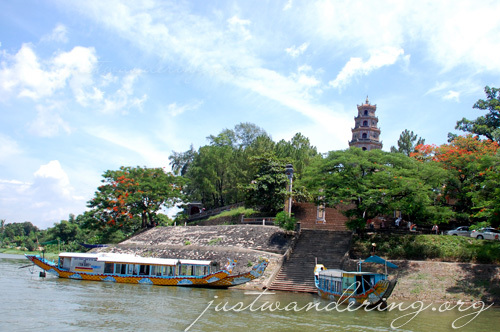 The pagodas and tombs along the Perfume river are impressive as well. What endeared me to them though weren’t the structures, but the lovely views of the river and the seemingly endless expanse of green. It’s the kind of place you’d want to go back to, if only to sit down and savor the quiet solitude. I’m starting to feel jealous. 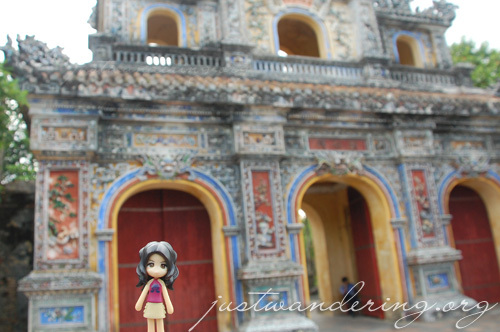 i’ve alwys wondered why I cnt find any post abt Hue from fellow blogger when it’s the 1st place i wanna see in Vietnam. It’s alwys abt HCM & Hanoi. Finally, there’s one! thnx for sharing this Nina! I feel like you tempted me, I think I have to treat myself in going there too. Looks lovely! I can’t wait to visit Vietnam!